Adventure-ready. In the Outback, you’ll come prepared. 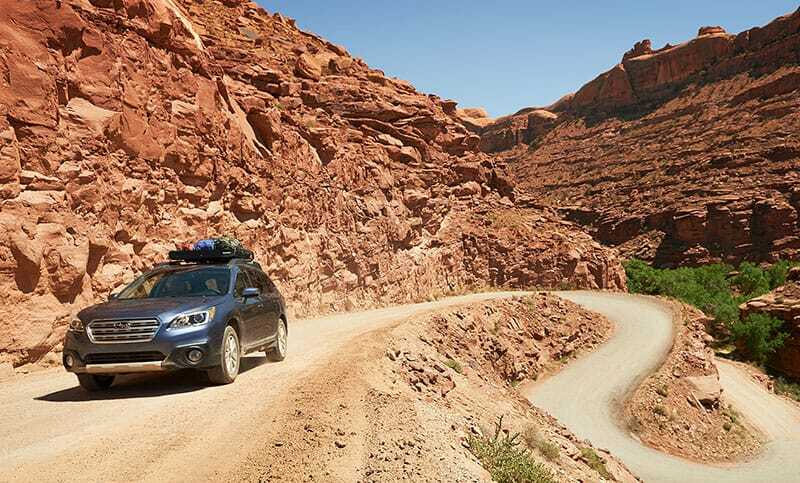 With 8.7 inches of ground clearance, and the venerable Subaru Symmetrical All-Wheel Drive system, little can block you from getting there. Adversity? No problem, simply activate X-MODE® with Hill Descent Control for even more control and confidence. 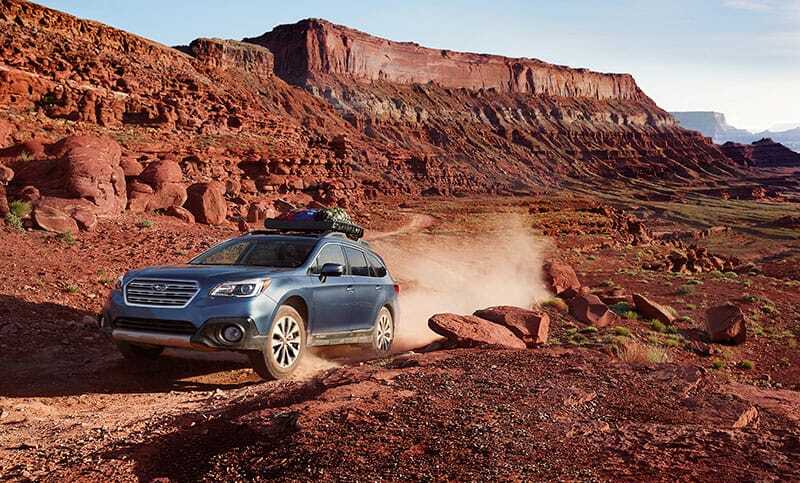 And with up to 32 miles per gallon9, the responsive SUBARU BOXER® engine has the fortitude to get you to your destination, and the efficiency to get you all the way back. 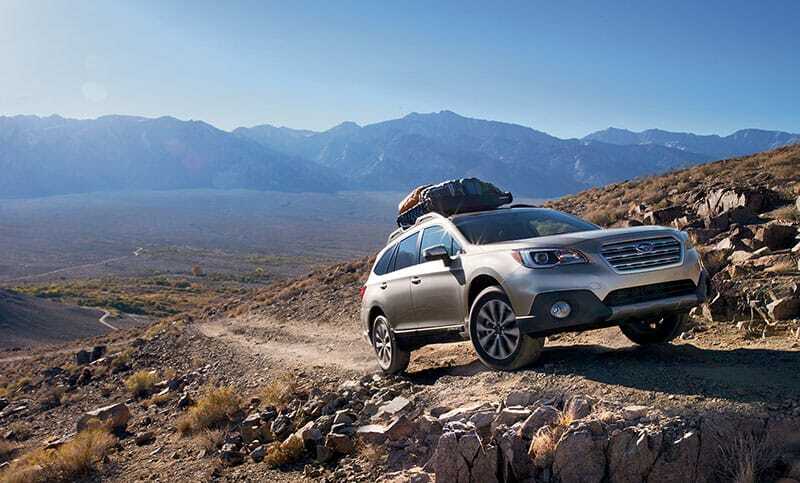 Outback 3.6R Limited in Twilight Blue Metallic with optional equipment. 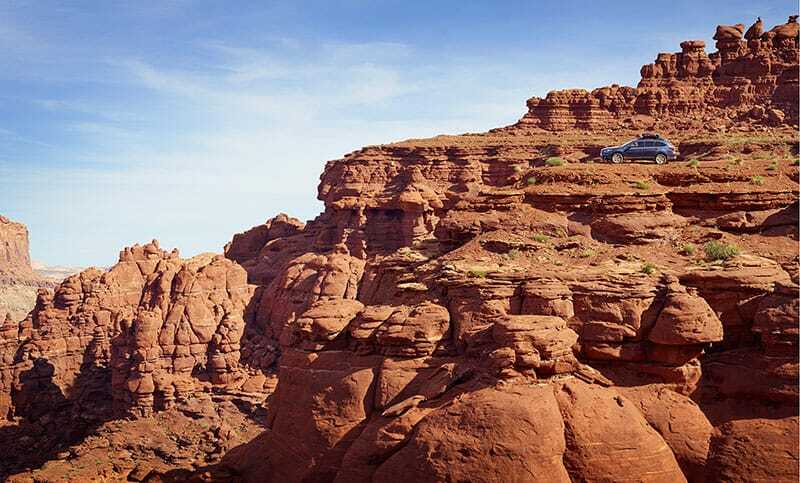 Suspension With Subaru Symmetrical All-Wheel Drive and 8.7 inches of ground clearance, you’ll be able to go places that are seldom seen by other crossover owners. Outback 2.5i Premium in Twilight Blue Metallic with optional and accessory equipment. Traction With the press of a button, X-MODE® with Hill Descent Control gives you an extra dose of traction and confidence over rougher terrain, while the Hill Holder system takes the worry out of even the steepest of inclines. Outback 2.5i Limited in Tungsten Metallic with optional and accessory equipment.